Many ancient signs and symbols surround us, but do we know what they mean and how can we use them? 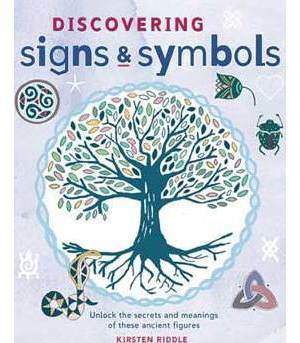 In Discovering Signs and Symbols Kirsten Riddle helps you discover the origins behind ancient signs and symbols from around the world. She gives practical tips that you can use to tap into their power and transform any aspect of your life, including relationships, career, health, and finances. The symbols range from the famous Celtic Triquetra and Egyptian Ankh, to less well-known but equally powerful signs such as the Slavic Lunitsa and the Norse Jormungand. For each sign and symbol, Kirsten explains the origins and mythology and suggests a simple charm or spell that can be used to harness its energy. Discovering Signs and Symbols opens with a simple quiz to help you discover which set of symbols you most closely identify with. The final chapter shows you how to create your personal power symbol. By using a personal symbol both at home and in the workplace you will encourage the flow of positive energy and create your own good-luck charm!